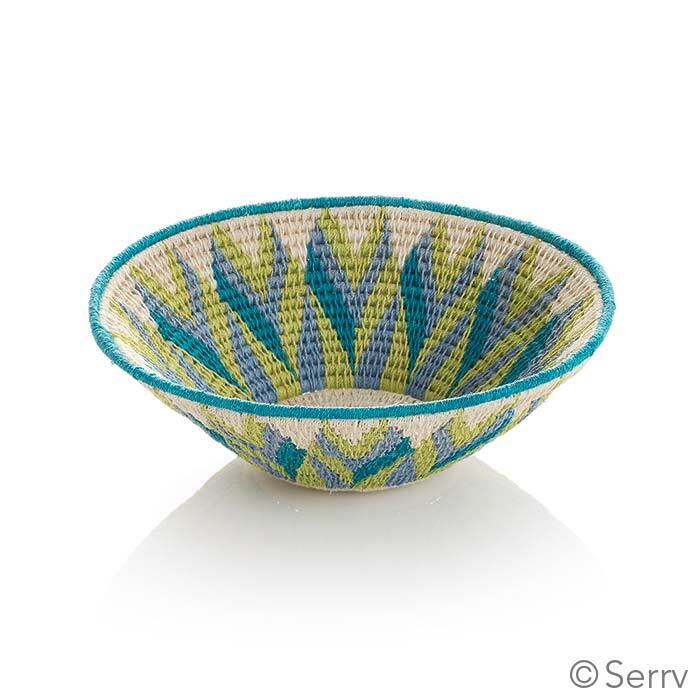 Tintsaba trains and employs women to weave some of the finest and most colorful sisal baskets in the world. 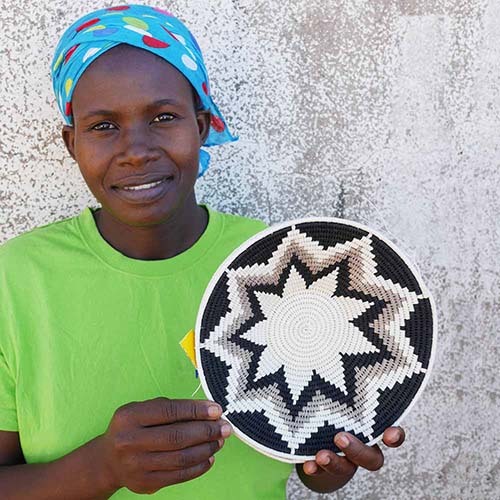 Your purchase helps women lift themselves out of poverty by building their skills, literacy, health, and independence, and by example, inspiring others in their community to weave a better future for themselves. This is a beautiful piece of work and looks lovely up on my wall. I use it as artwork. More beautiful colors than appear on website. Exquisite, unusual design. Now a prized possession i will hang on the wall where I can see it often.